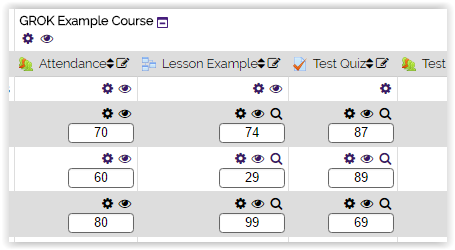 The Gradebook view allows instructors to enter grades directly in the Gradebook. 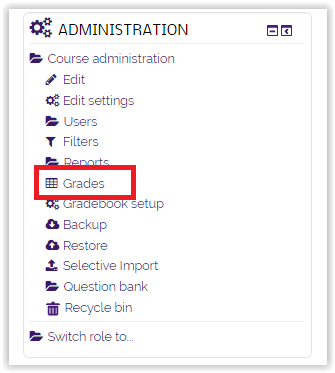 For more information regarding the Moodle gradebook feature, please visit Moodle 3 Gradebook: LSU Overview. PLEASE NOTE: If you intend to enter grades that include a decimal point you must use a period (as opposed to a comma). A comma will cause the grade to round down. 2. Select your desired course in Moodle. 3. At the left of your screen, under the Administration block, select Grades. 4. 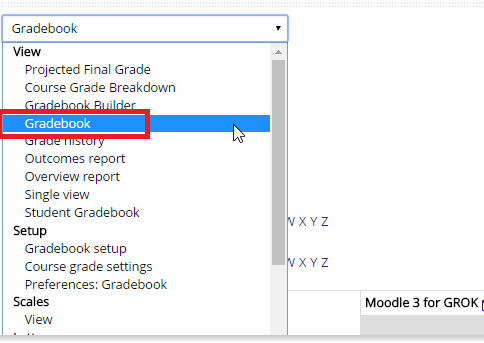 Choose Gradebook under View from the drop down box at the top of the Gradebook. 5. Enter the grades desired, and select Update. NOTE: To edit the grades using Single View, select the Single View in the heading of each grade column. More information about using Single View can be found here: Single View by Graded Item or by User.